AHCA Changes, Consequences, And What You Can Do To Help Stop It. 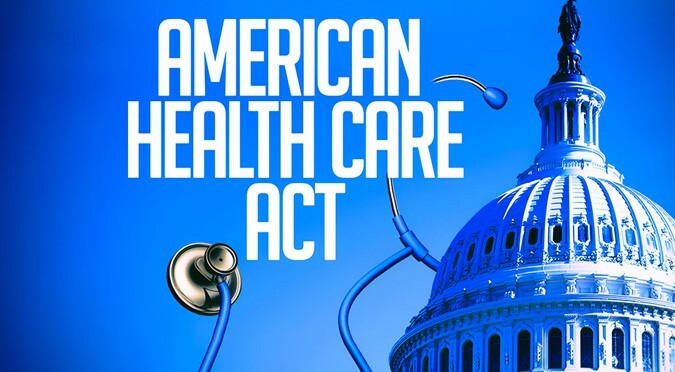 The AHCA aims to repeal many iron-clad mandates against insurance companies, introduced through Obamacare, that have helped millions of Americans obtain healthcare. The GOP bill would replace many of these mandates with ones that could save money on healthcare spending, but at that expense of threatening coverage for those who need it the most. Below we discuss some of the proposed changes, and what you can do to stop the bill. The Affordable Care act expanded Medicaid to 11 million low-income individuals in 32 different states, dropping the uninsured rate for non-elderly adults to an all-time low of 10% in 2016. Medicaid currently provides insurance for 72 million people, many whom are amongst the nation’s most medically-needy. The AHCA would freeze funding for Medicaid expansion and completely eliminate it by 2020. Federal funding would also be capped to a per enrollee quota, as opposed to the actual cost of healthcare. The consequences would be that states would no longer be able to offer Medicaid to new enrollees, whom would be eligible under the Affordable Care Act. Also, due to the Federal Cap, they would have less money to pay for the healthcare services, which could lower quality of care. This bill threatens to leave the nation’s poorest without healthcare options and reduced quality of care. For a full list of declinable medical conditions please visit this link. The new healthcare bill would loosen insurance mandates for pre-existing conditions. If you had a lapse in coverage the insurance companies would be allowed to significantly raise your premiums based on a long-list of “pre-existing” conditions that include many common health problems. This is most troublesome for people with life-threatening conditions that may effect their ability to work. States will be allowed to seek a waiver from the federal requirement that insurers cover 10 “essential” services in every health plan they offer. Under current law, mental health and substance abuse services, prescription drugs, preventive care, maternity care, emergency services and lab services are all deemed “essential” and must be included in every plan. The AHCA would repeal the law that mandates larger companies to provide health benefits for full-time employees. Obamacare introduced healthcare subsides, determined by income and local healthcare costs, to help lower and middle-class individuals to be able to afford premiums. The AHCA would replace this with tax credits based on age. This would be a problem because the credits do not adjust based on the cost of healthcare in one’s area. If you are young you would get a bigger tax credit, but if you are older you would get less tax-credit, while statically being at risk more health problems. American College of Physicians — “We urge you to oppose the American Health Care Act. Scouring through numerous sources online, we have found that information regarding the changes is presented in many different ways, but the main theme of the bill is to lower funding and accountability for supporting those who need healthcare the most. If you lose your job and are unable to afford healthcare, your new premiums would sky-rocket, you would be unable to temporarily enroll for Medicaid, and your new employer would have the option to not provide coverage at all. The bill is great if you are young and healthy, or rich but does account for the dynamic hardships we face in life. The plan is very static and if circumstances bring you to financial and medical hardship, you would find it very hard to be able to afford insurance. Call your senators and voice your opposition against this bill. The vote in the Senate is the last wall before this bill becomes a law. If you are not from Illinois you are able to find your Senators’ contact information on this website. A phone call is the best way, but a quicker alternative has been developed by a startup company. 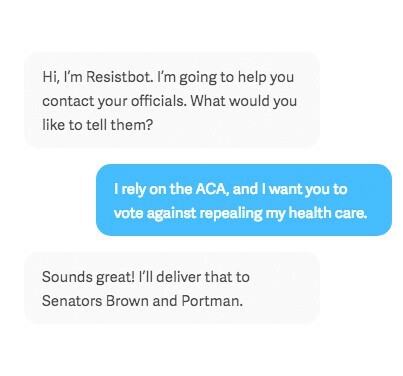 Text “RESIST” to 50409 or message me on Facebook and “Resistbot” will find out who represents you in Congress, and deliver your message to them in under 2 minutes. No downloads or apps required. Please visit https://resistbot.io/ for more information.